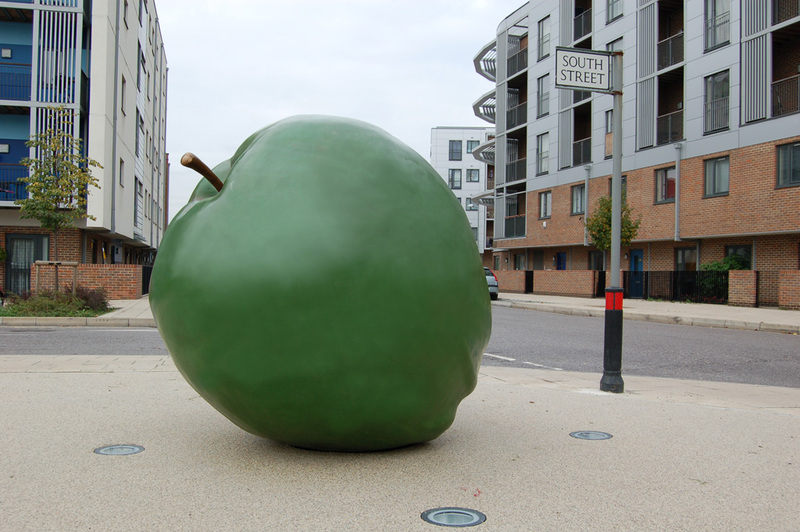 Orchard Village, Rainham, Kent. 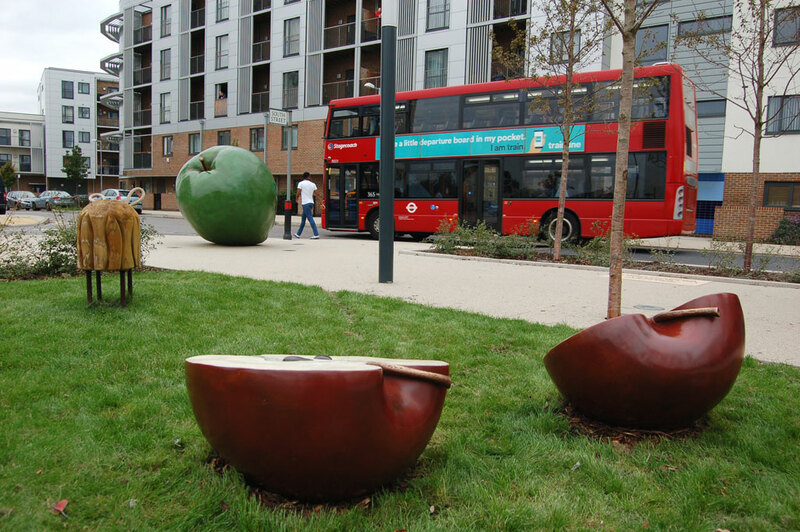 Circle Housing. 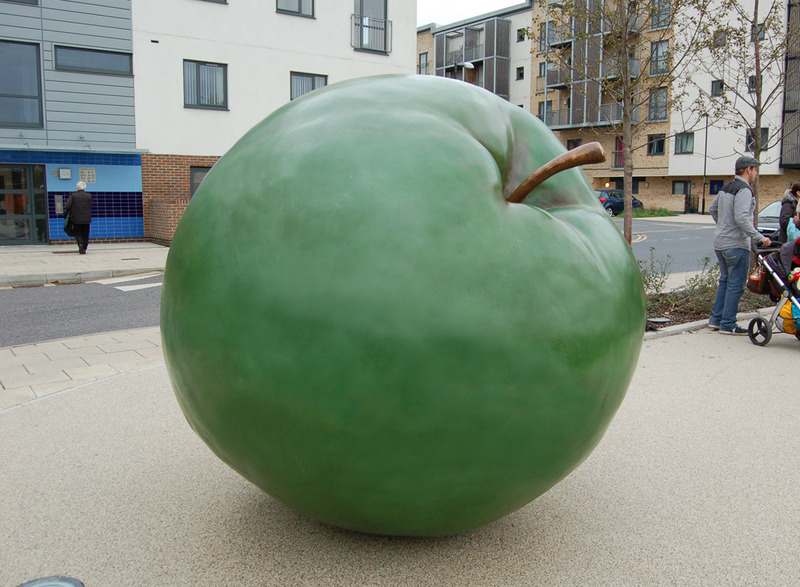 Patinated bronze. 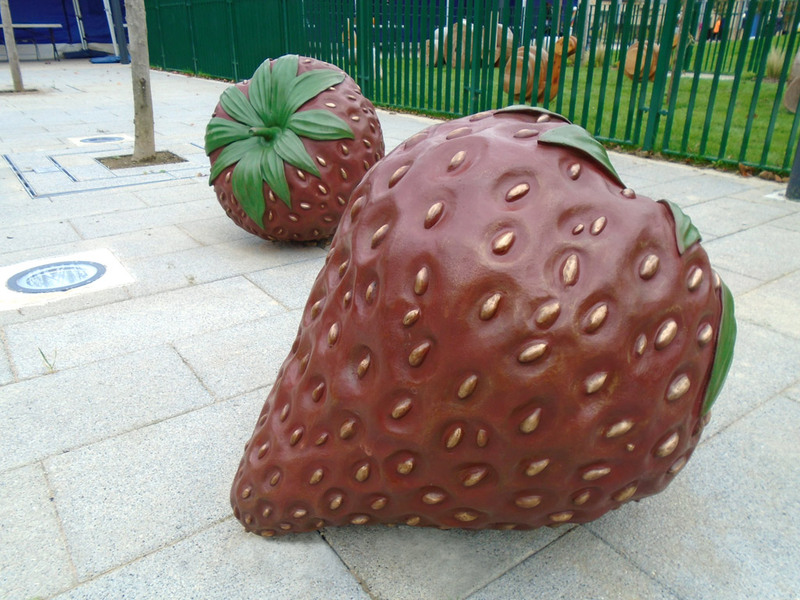 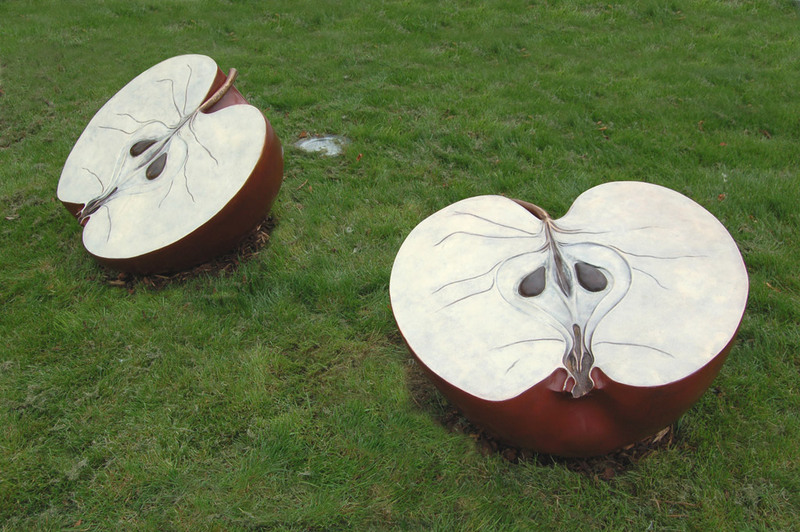 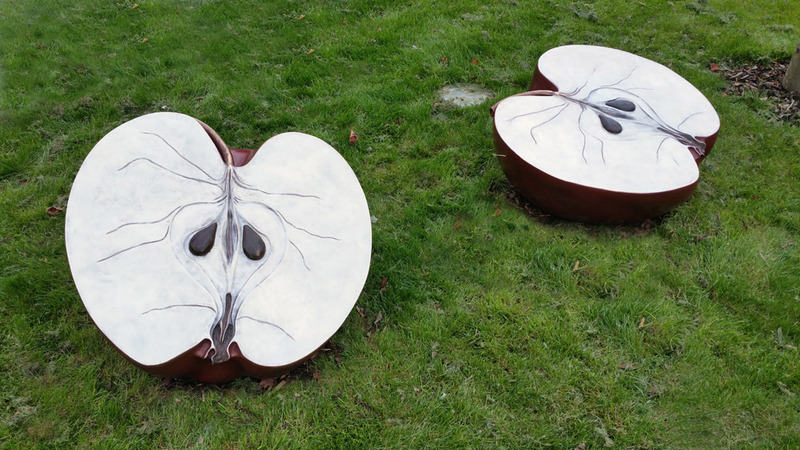 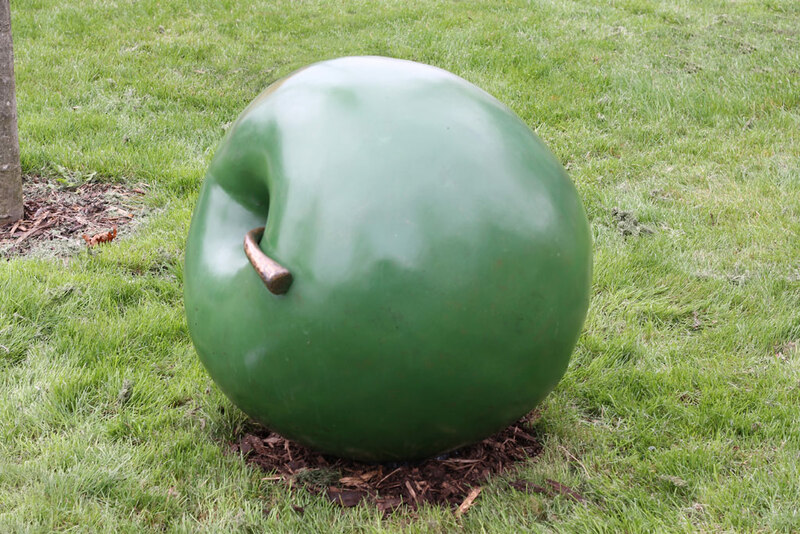 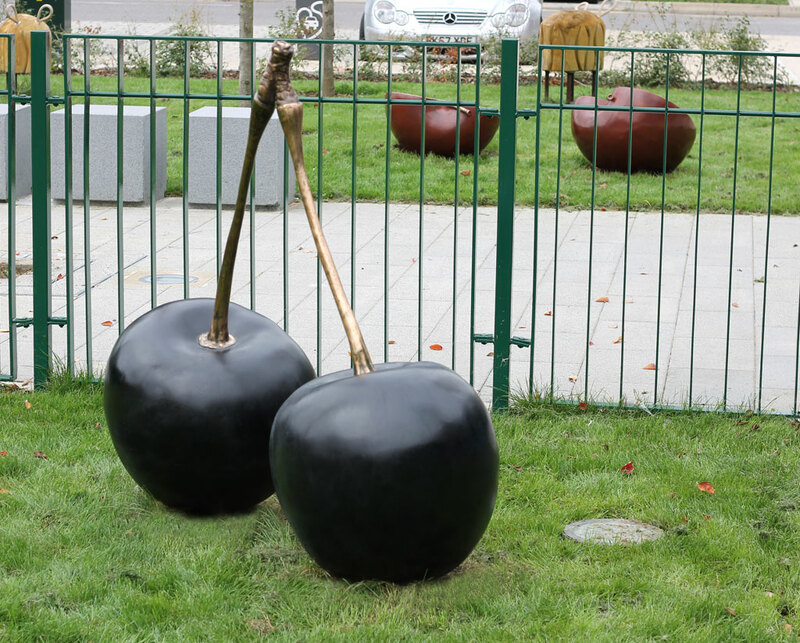 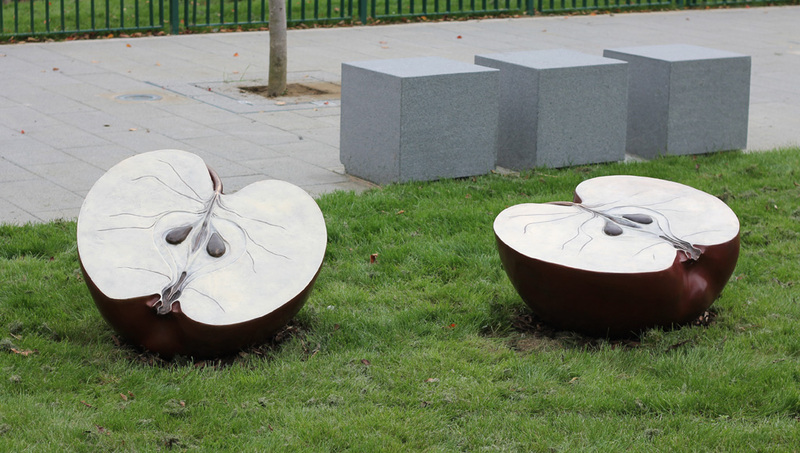 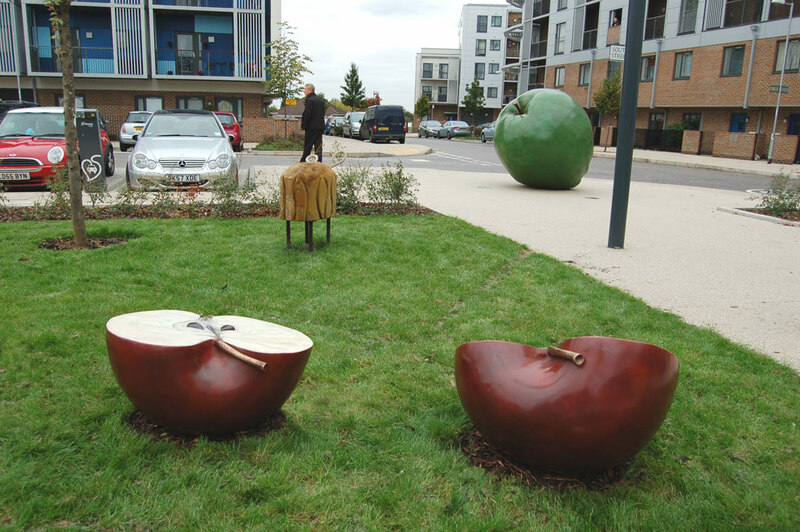 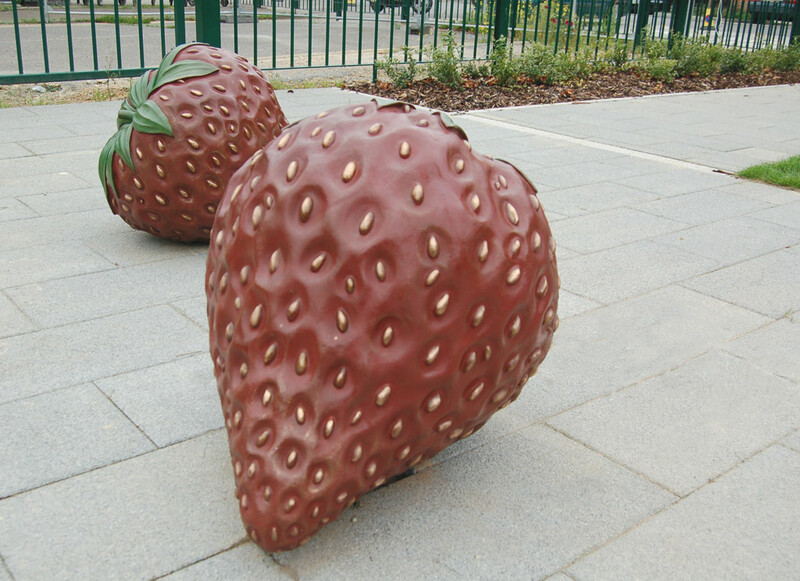 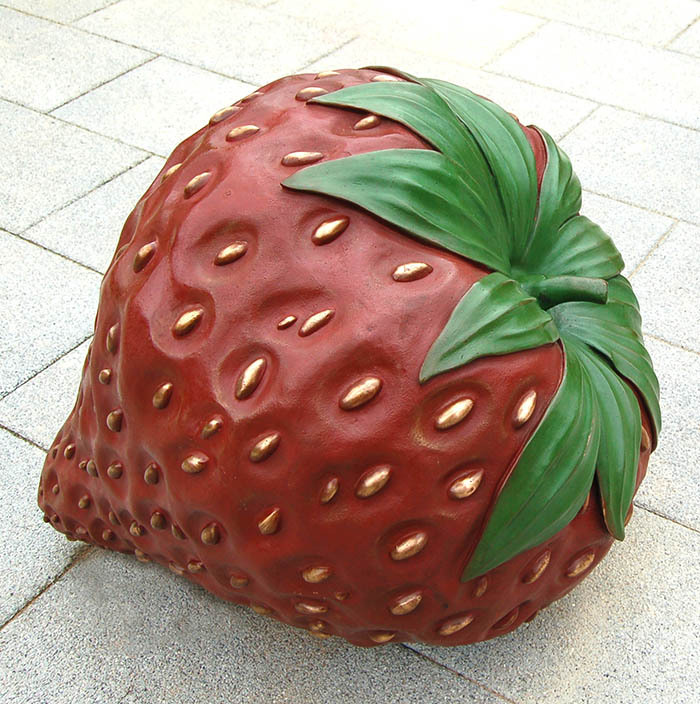 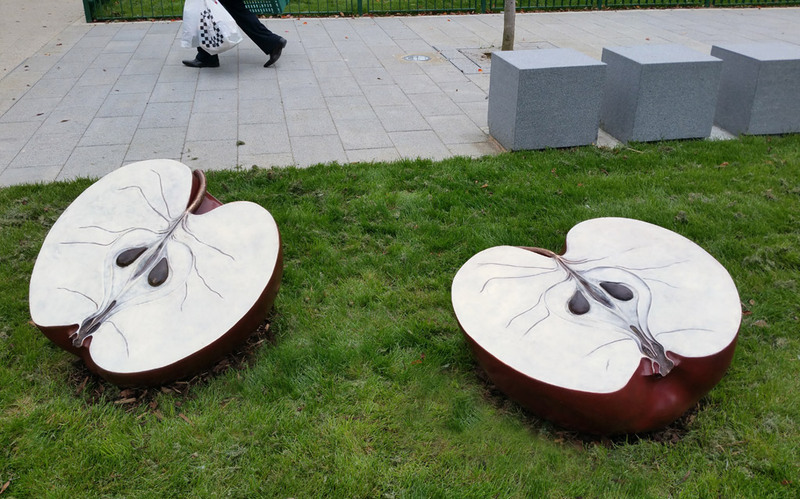 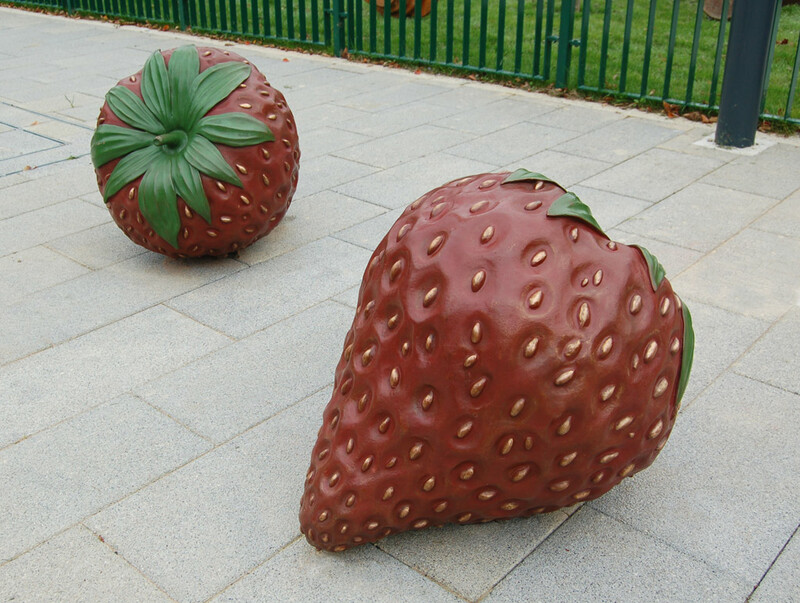 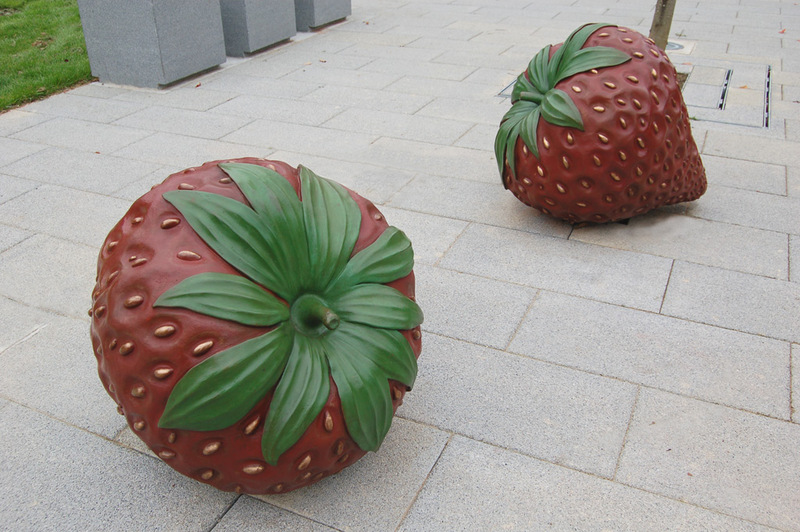 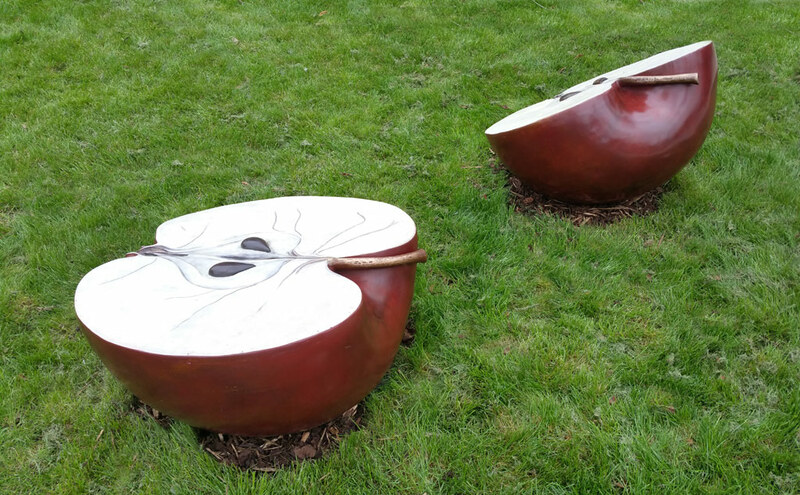 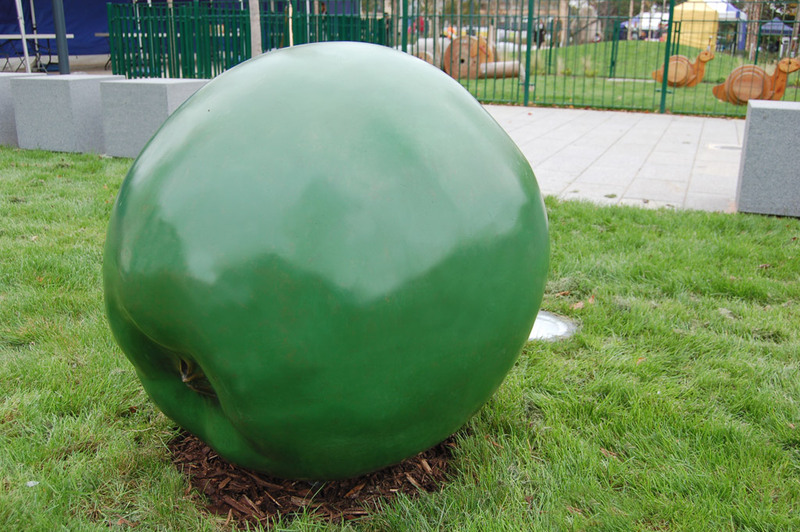 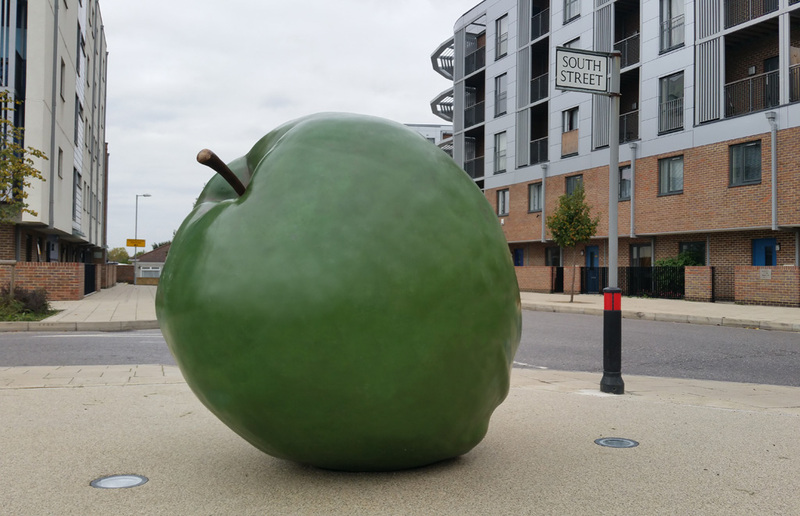 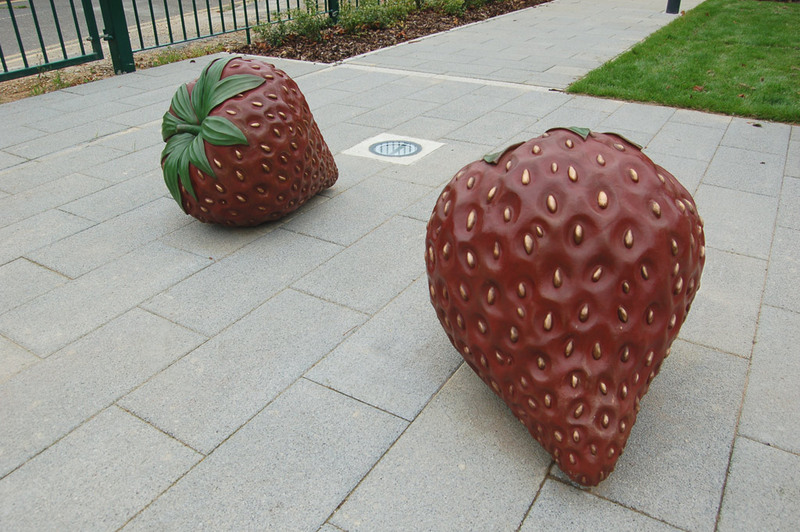 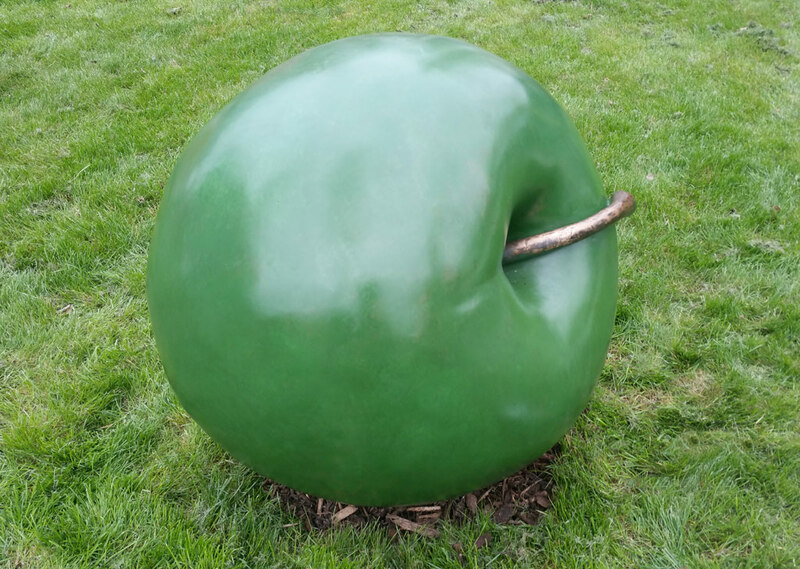 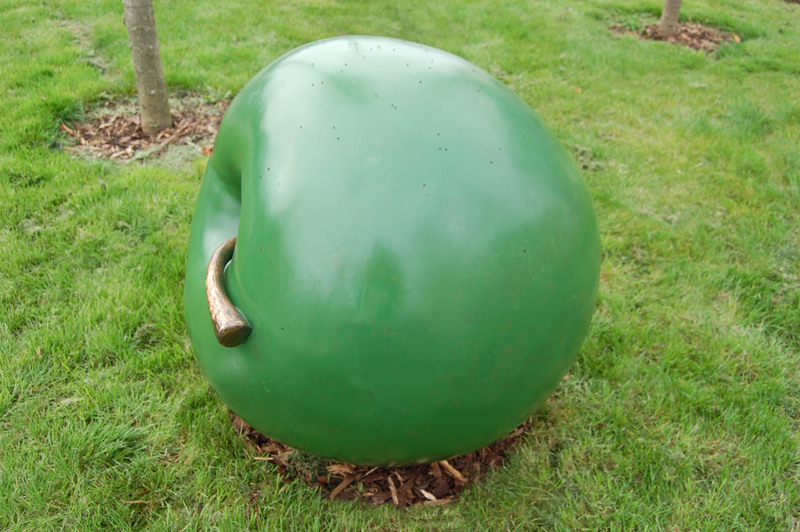 These giant fruit sculptures form the centre piece of Orchard Village Community Square in Rainham, Kent. 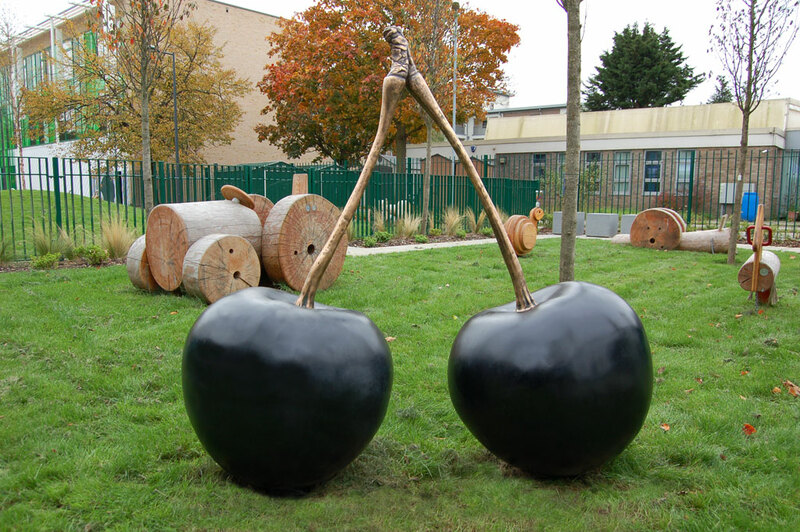 The sculptures are sited close to an old fruit farm which supplied Tiptree Jam Company. 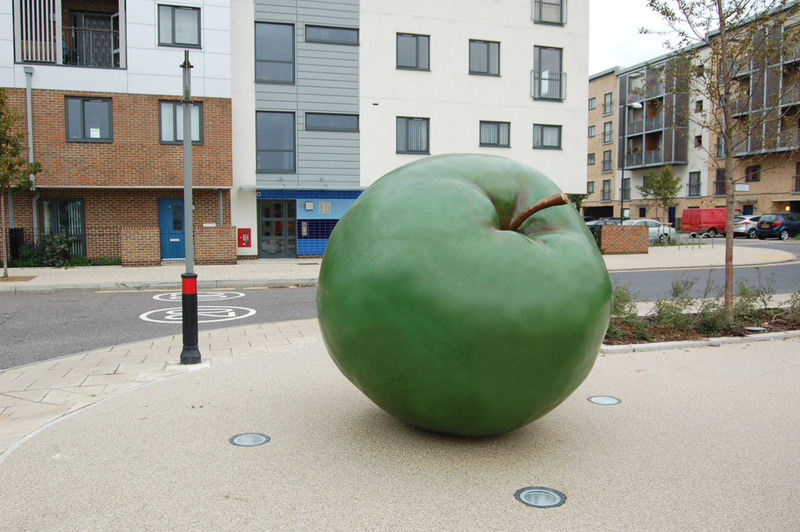 Commissioned by Wilmot Dixon on behalf of Circle Housing and PRP Landscapes for the £80m transformation of Orchard Village. 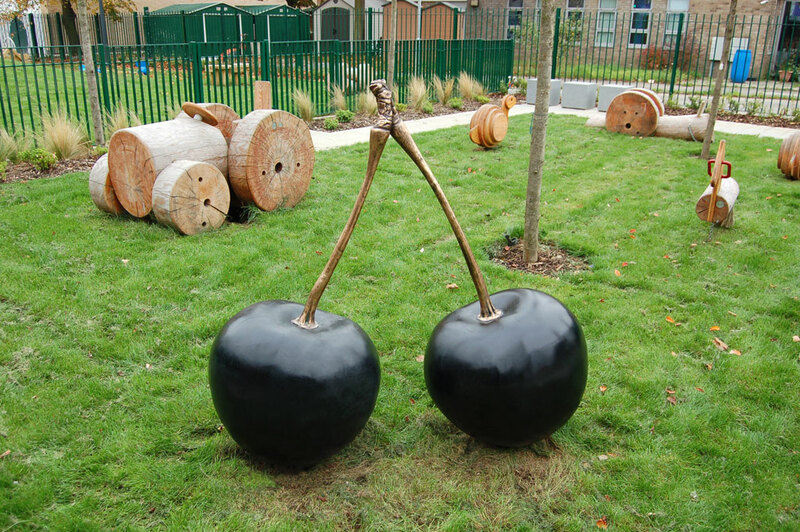 Andrew worked for four days with pupils from Newtons Primary School who created their own fruit designs and mini sculptures. 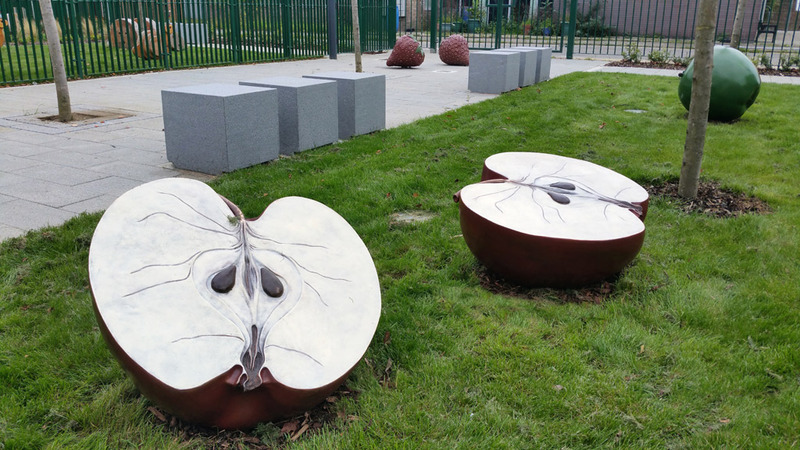 Dawn Mackenzie of Circle Housing said ‘Orchard Village is about growth, change and renewal and Andrew McKeown is the ideal artist to bring our vision to life’.